It was cloudy and raining here in West Seattle. I gotta say though, perseverance won out. 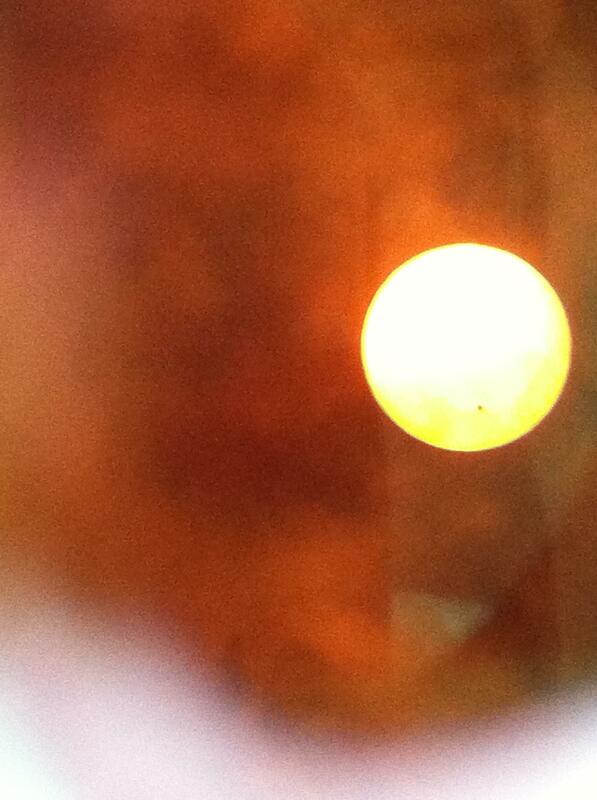 We had three “sun breaks.” The first two almost didn’t count the clouds were still so thick, but we did see the Sun. 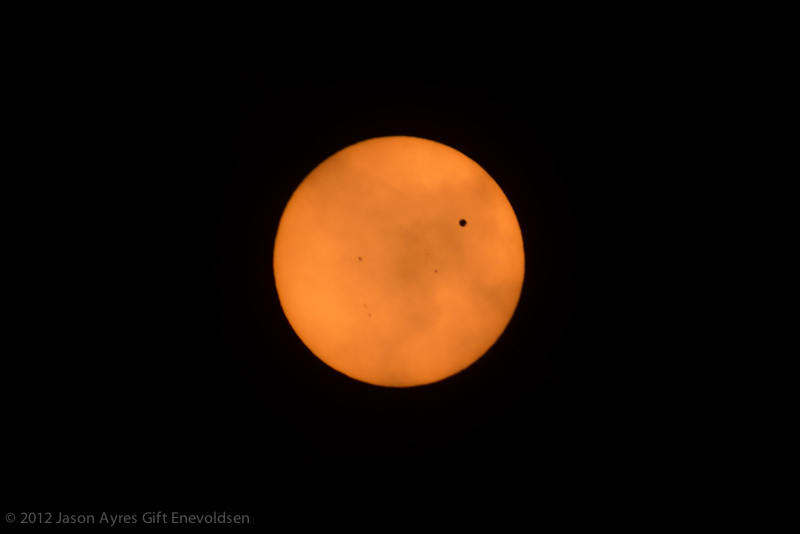 Everyone else saw Venus during the first break, but I didn’t see it until the second break. Then we had a good one about 10 minutes long about halfway through the event. 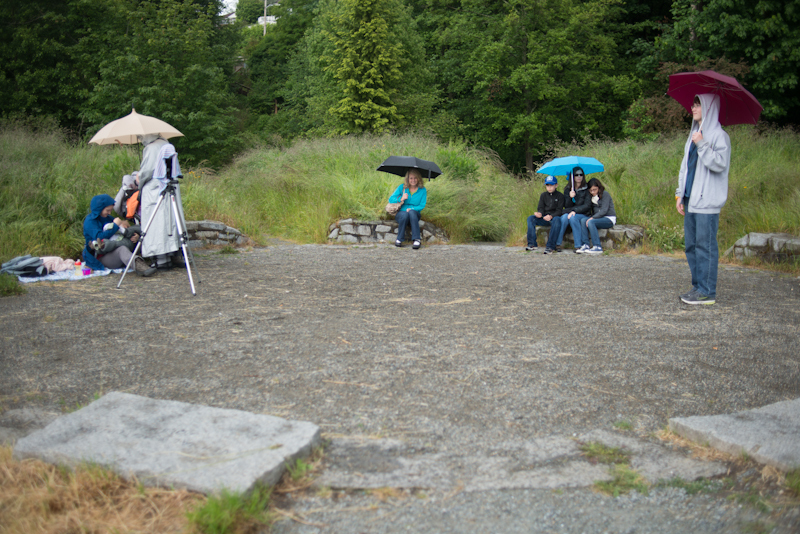 We spent hours waiting in the rain. 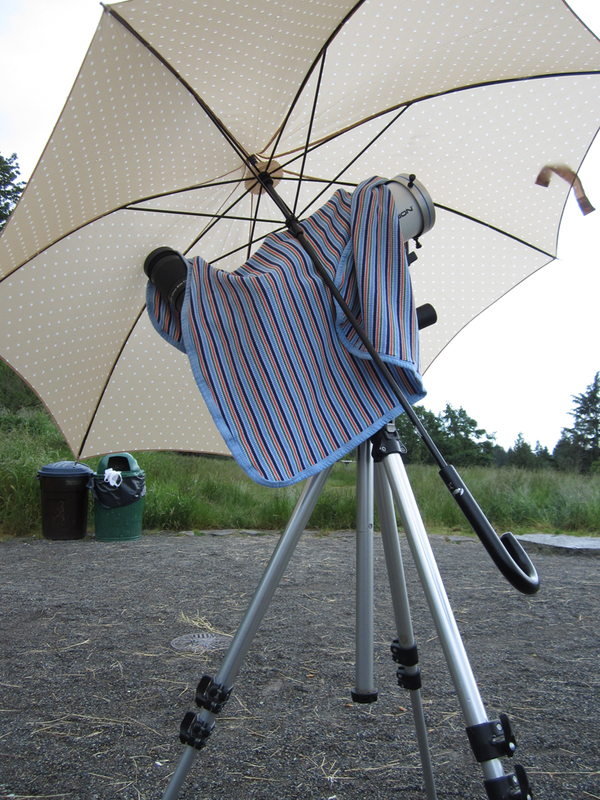 Yes that’s an umbrella over the telescope. But, we did see it! 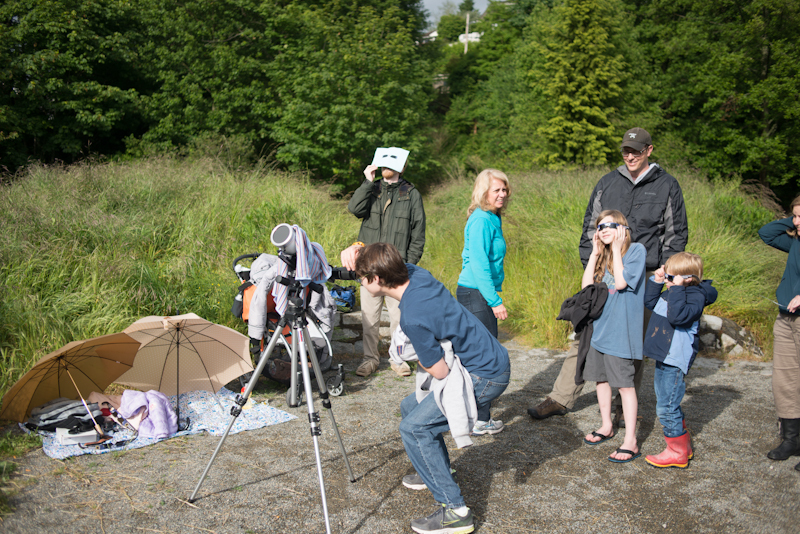 And yes, I owe you photos from the eclipse too. My friend Dave Ingram hosted the viewing here at Solstice Park while I gallivanted off to California. It was socked in up here, but beautiful in Redding, CA.